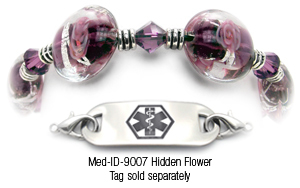 "No matter where you go, wear a medical ID bracelet" These beautiful bracelets are recommended by the ADA. 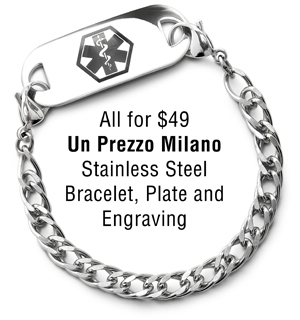 The ultimate in exotic stainless steel gives you incredible fashions to rival fancy tennis bracelets at Designer Stainless. 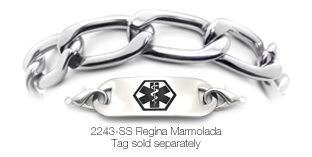 29.1 million Americans have diabetes and every 23 seconds someone new is diagnosed. 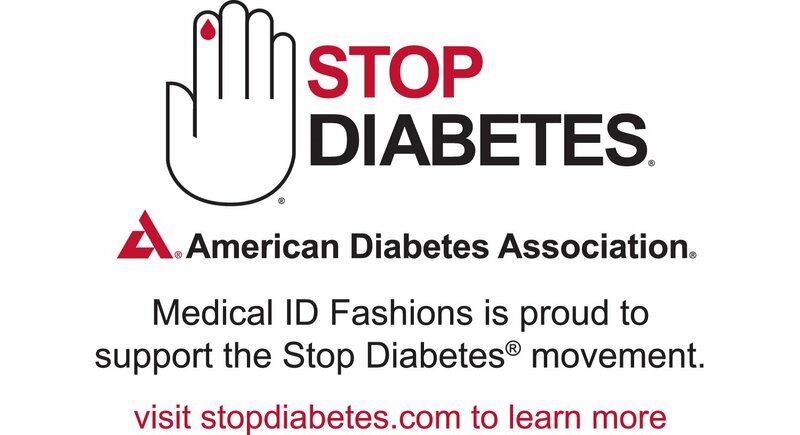 Since 2013 Medical ID Fashions have been a proud supporter of the American Diabetes Association, the nation’s largest voluntary organization dedicated to fighting diabetes. 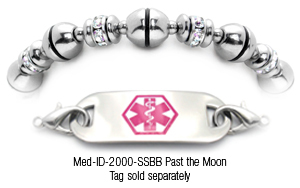 A diabetes medical ID, or diabetes bracelet, is important for every person with diabetes in order to be able to quickly communicate medical information in an emergency. 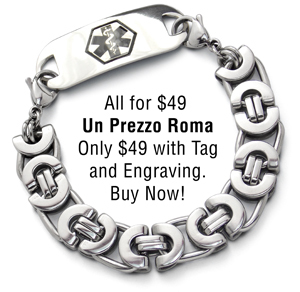 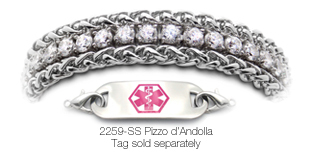 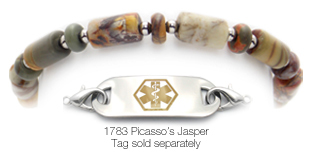 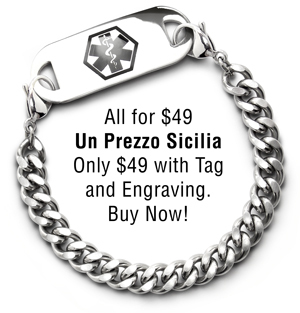 With Medical ID Fashions you can shop from hundreds of bracelet styles and support a great cause at the same time! 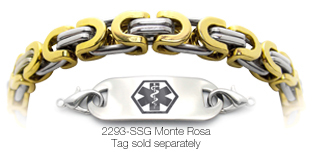 All diabetes bracelets are handmade in the USA and custom sized for each customer. 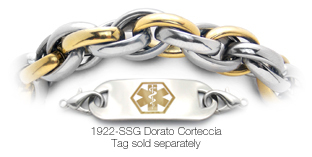 Exclusive WaterWear Bracelets® in an incredible variety in Gold/SIlver for rich textures and finishes. 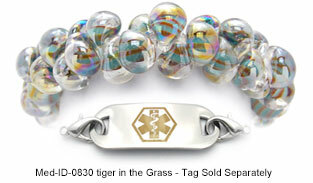 For any occasion see precious and semi-precious stones in hundreds of styles in our Fashion Beaded section.